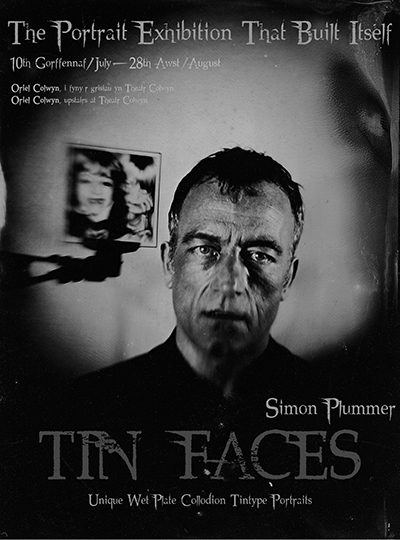 Simon Plummer initially spent two years studying photography with a view to mastering Photoshop, primarily because he thought to be a “good” photographer these skills were essential in this digital age. 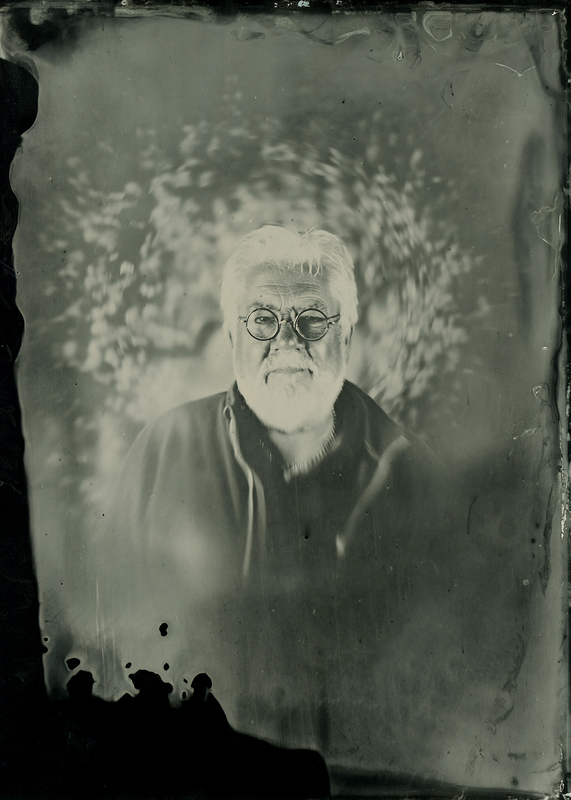 Instead, an infectious enthusiasm for the darkroom drew Plummer in, leading him to experimenting with alternative ways of producing a print. 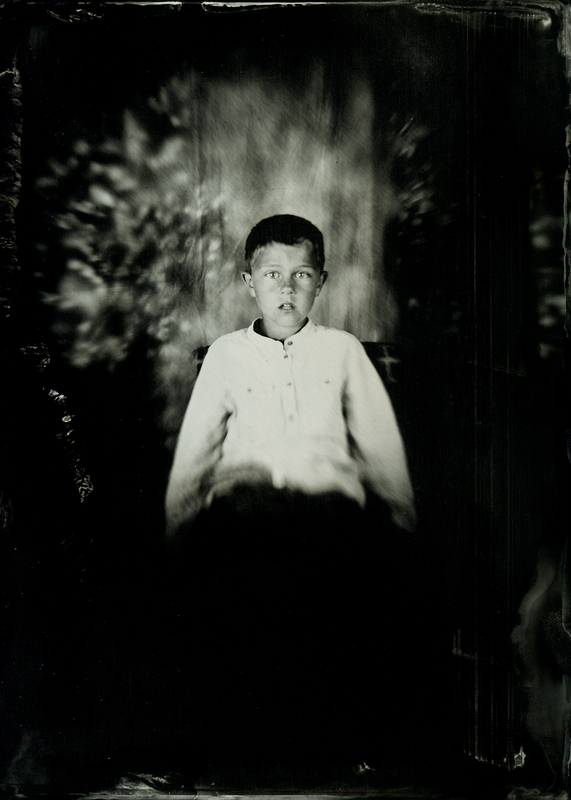 Whilst devouring everything he could read about photography he came across the contemporary portraits taken by Sally Mann and a growing group of photographers working with the wet plate collodion process. The faults and unpredictable results of the images in this out-dated process seemed to be the antidote to digital photography’s clinical look Plummer was searching for. A degree year in St Helens College gave him the opportunity to gain the basic skills in this magical process originating from the dawn of photography. 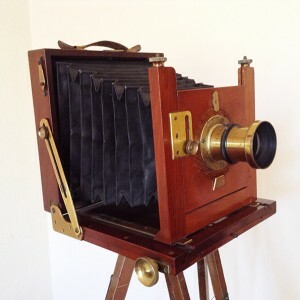 Simon’s camera of choice is now an old folding field camera, his “Patent Reliable” was hand-built around 1890. by F.Bulmer of Dewsbury in West Yorkshire. A small, hand stamped brass plate notes it as being ‘Camera No.12’ and is now one of only three known remaining examples. 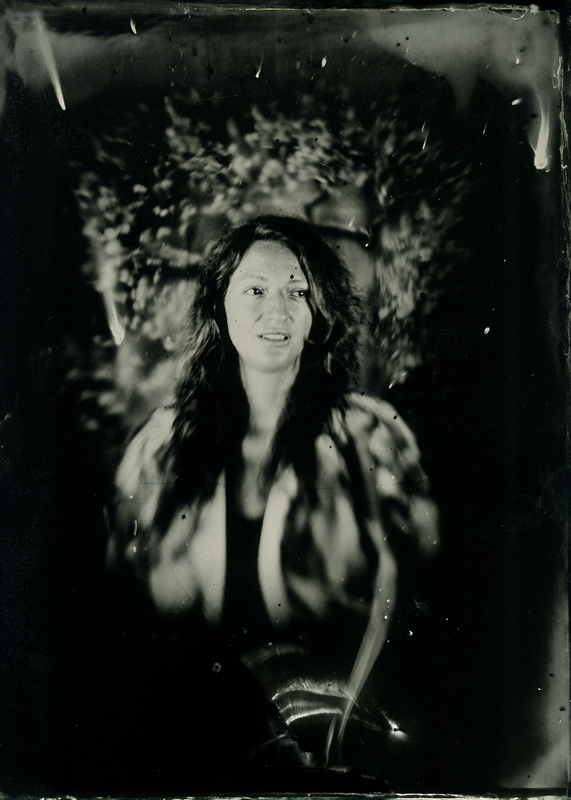 Combining this camera with a Petzval portrait lens, circa 1860, and the Wet Plate Process invented by Frederick Scott Archer in 1851, his vision is to build an exhibition of ‘Tintype’ portraits taken at live sessions at Oriel Colwyn. 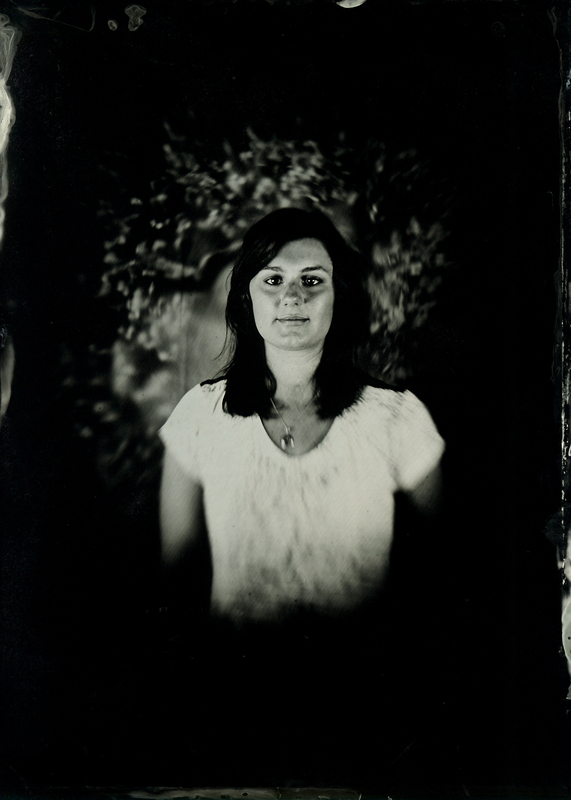 Tintype portraits were initially made in formal photographic studios, but later they were more commonly made by photographers working in booths or open air at fairs and carnivals. 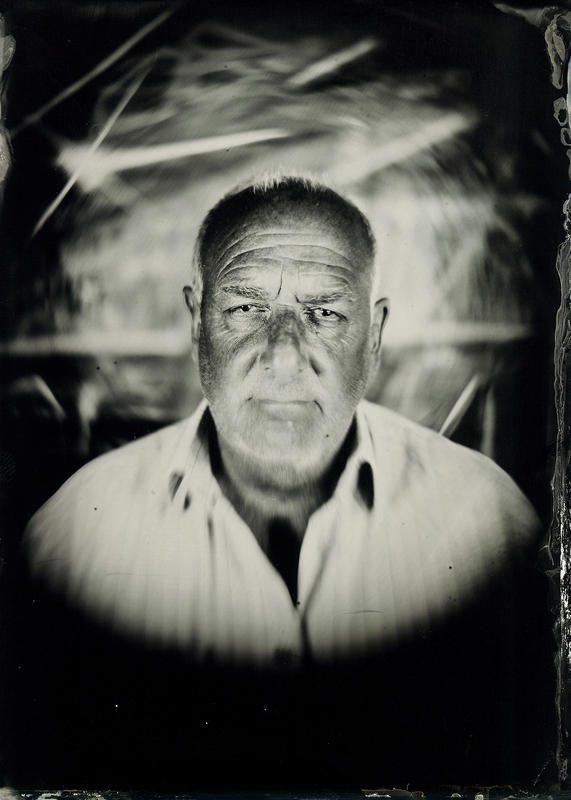 Mimicking the immediateness and atmosphere of these carnival booths these live sessions will allow you to possibly have your portrait taken with the original ‘Patent Reliable’ and see the wet plate process and the results with all their potential defects. The first live photographic sessions take places on the exhibition opening night of Friday 10th July, please do join us between 6.30pm and 9:30pm for an gathering of friends, old and new, in an evening of photographic enlightenment. The portraits taken will instantly form part of Plummer’s ‘exhibition that built itself’ with further live sessions scheduled throughout it’s duration to allow the exhibition to grow and evolve. Book your free sitting NOW! Tin Faces goes on tour, for one day only to Betws-y-Coed in the heart of Snowdonia National Park. Look for us 50 yards from the Alpine Coffee Shop. 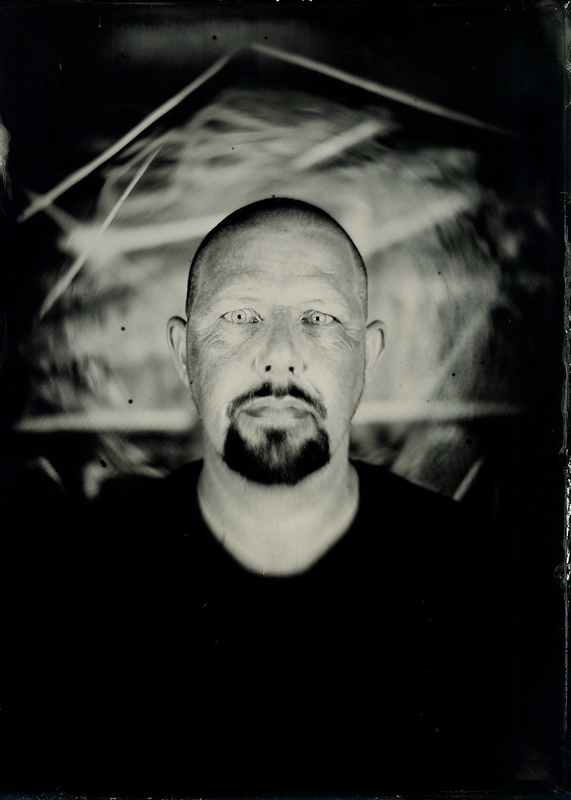 For a small recommended donation of at least £20, Simon has kindly agreed to allow you have your original unique Tintype portrait at the end of the exhibition. 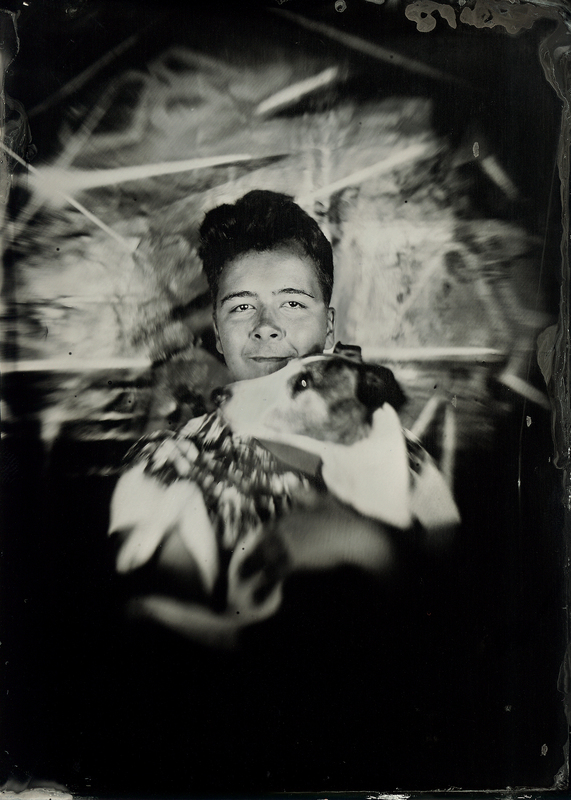 The donation will do directly to help fund our on-going Darkroom project which we plan to have fully up and running by the end of the summer, facilitating a space for the much needed continuation of analogue photography and alternative processes.